A soothing collection of traditional chants and praises to call on the Blessed Mother. 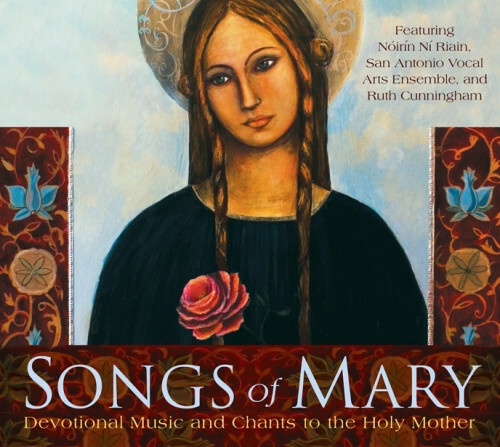 Create a quiet respite from the rush of modern life with Songs of Mary, a soothing collection of 15 traditional chants and praises that call on Our Lady for healing, guidance, and comfort. Through subtle instrumentation and heartfelt vocals, this carefully selected music will gently uplift your spirit with the blessings of the Holy Mother. Journey to medieval Spain with selections from the treasury of songs known as the Cantigas de Santa Maria, to France with a troubadour's ballad, through Ireland with a Celtic prayer of protection, then be renewed with Hildegard of Bingen's devotions, and follow Mary to the New World with chants honoring the Virgin of Guadalupe.